Should You Sign a Release? 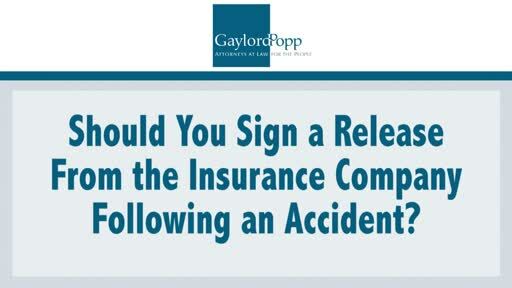 Should you sign a release from an insurance company as a result of a car accident within a week or two after the accident? Let’s explore for a moment the reason why you should not sign that release.